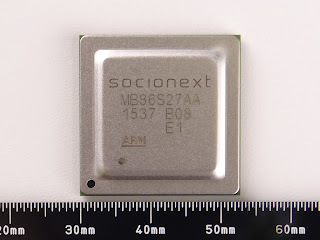 Socionext (ex-Fujitsu) is now shipping its “M-8M” series, or MB86S27, a compact image processor which is the eighth-generation product from its Milbeaut Image Processor series. The MB86S27 features H.264 4K Codec Engine originally developed at Socionext, and comes with 360-degree distortion correction and other image processing functionalities suitable for video devices such as surveillance cameras, drones, action cameras and drive recorders. Its power consumption is as low as 1.3W, when operating with 4K at 30 fps. In a separate PRNewswire release, CEVA announces that it has licensed its image processing IP for use in the Socionext new MB86S27 Milbeaut processor. "The inclusion of the CEVA imaging and vision DSP in our Milbeaut series of image processors allows our customers achieve true product differentiation by implementing proprietary technologies and applications that can take advantage of its powerful vector processing engine," said Mitsugu Naito, CVP and Head of Business Group Ⅲ at Socionext. "The DSP offers outstanding performance, flexibility and power efficiency for implementing such advanced algorithms, making it the ideal choice for our imaging processing products." "We are honored to welcome Socionext to the extensive list of leading companies adopting our imaging and vision DSPs for their image processor SoCs," said Gideon Wertheizer, CEO of CEVA. 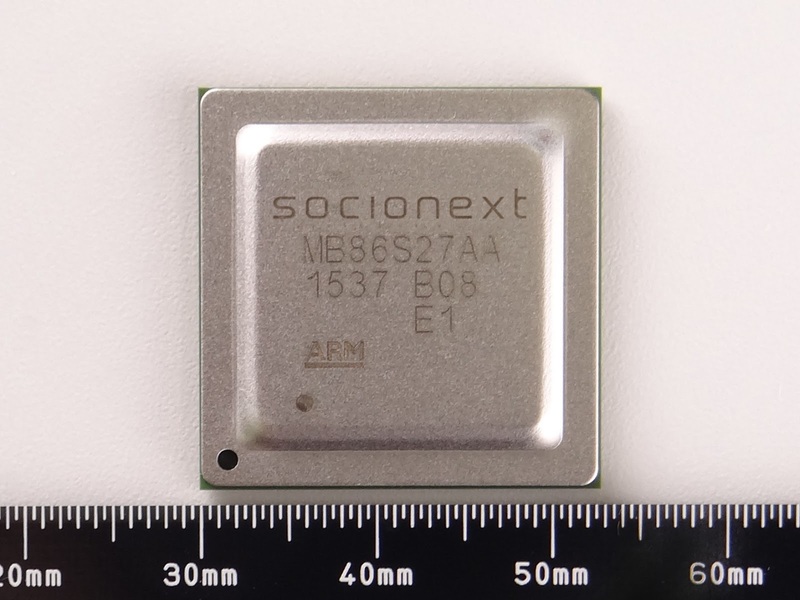 "Advanced computational photography and embedded vision capabilities are key differentiators in next-generation camera-enabled devices, and our DSP brings these features to Socionext's Milbeaut products in a low-power, cost efficient manner."